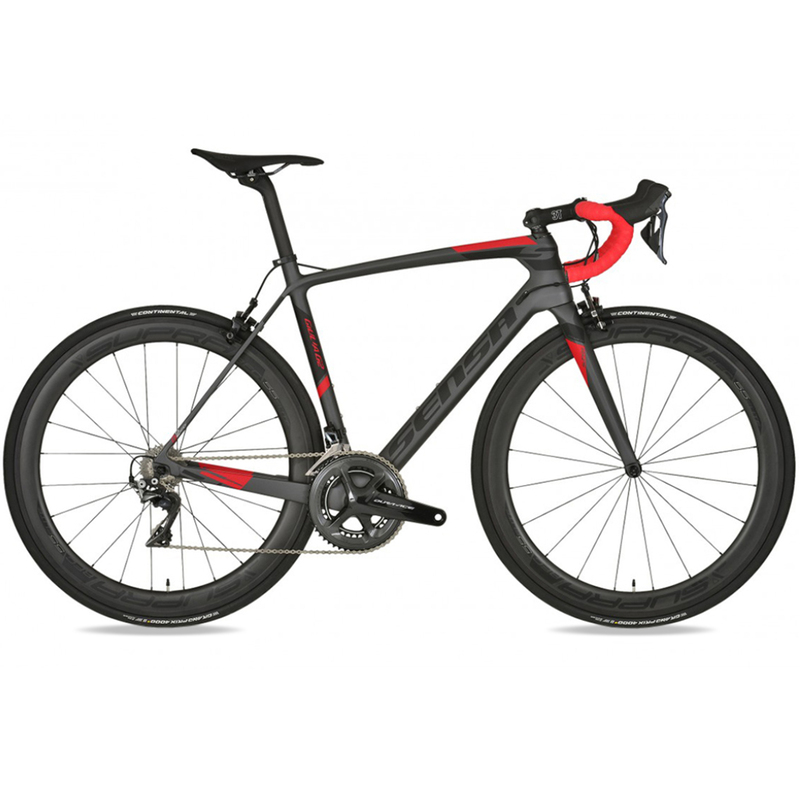 The Sensa Giulia G2 carbon road bike is Sensa's cleverly engineered do-it-all road bike. A successor to the beloved Giulia, Sensa – exclusive to Merlin Cycles in the UK has managed to drop the weight, create more comfort and enhance the aerodynamics on this newest generation of Giulia. In a subtle graphite grey with black and red accents the stylish Giulia G2 is built for the sort of riding that we all do and with this custom edition Sensa allows you to choose your preferred Shimano groupset before building a Giulia specifically for you. Please note: Picture for illustration only. Picture shows deep section wheels and may be a different specification to options available.